The Connecticut independent, who faces re-election in 2012 in a state where Obama is popular, is eager to mend fences with Democrats still fuming over his criticism of Obama during the general election campaign. 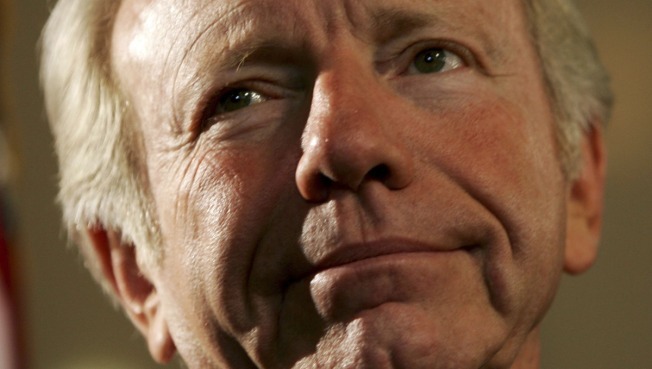 Sen. Joe Lieberman has changed his tune on Barack Obama. After campaigning across the country for Republican John McCain in 2008 and attacking Obama as naive, untested and unwilling to take on powerful special interests, Lieberman now showers praise on the popular new Democratic president. "He's shown real leadership," Lieberman told The Associated Press in an interview. "Bottom line: I think Barack Obama, president of the United States, is off to a very good start." Lieberman has applauded Obama's national security team. He gushed over Obama's "inspirational and unifying" inaugural. Lieberman even played a key role helping Obama win Senate passage of the economic stimulus plan. As if to underscore the point, Lieberman has even clashed on the Senate floor with his pal McCain over the stimulus plan and a District of Columbia voting rights bill. "I don't think of Joe as the independent, I really think of Joe as a Democrat," said Lieberman's home state colleague, Sen. Christopher Dodd, D-Conn. It's a striking turnaround from the days when Lieberman was a fixture at McCain's side during campaign stops. McCain had even considered making Lieberman, who nearly won the vice presidency on the Democratic ticket with Al Gore in 2000, his running mate. "Do I think it is more principle or politics?" said Quinnipiac University Poll director Doug Schwartz of Lieberman's moves. "It is a tough question." Lieberman's campaigning for McCain hurt him with Connecticut voters, particularly Democrats, Schwartz said. Connecticut's Attorney General Richard Blumenthal, who is mentioned as a possible 2012 Senate Democratic candidate, would beat Lieberman by 28 points in a hypothetical matchup, a recent Quinnipiac poll showed. Lieberman scoffed at any suggestion his embrace of Obama is more about political expediency than principle. "I haven't changed ... I've always had a voting record that is more with the Democrats than with the Republicans," he said. Many Democrats still chafe at how Lieberman needled Obama during his Republican National Convention speech with the line "eloquence is no substitute for a record." Or when Lieberman cast the race as a choice between "one candidate, John McCain, who has always put the country first, worked across party lines to get things done, and one candidate who has not. Between one candidate who's a talker, and the other candidate who's the leader America needs as our next president." Lieberman said he understands why he struck a nerve with Obama's backers. "We were in the middle of a campaign and we just plain disagreed ... When I said those things not only did I believe them, but I believe looking at the records of the two people then, they were right," Lieberman said. Lieberman said he never meant to suggest that Obama did not put his country first. Lieberman said his words were "too subject" to that interpretation and that he wishes he had spoken more clearly. After the election at Obama's urging, Senate Democrats decided not to punish Lieberman. They voted to let him keep his chairmanship of the Homeland Security and Governmental Affairs Committee. 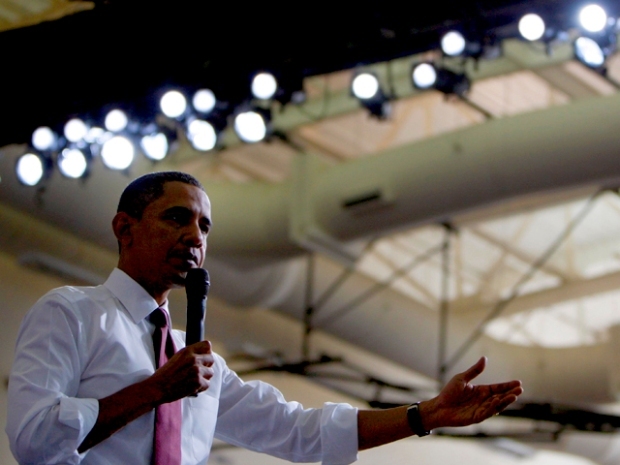 Obama was eager to strike a bipartisan tone for his presidency. "President Obama played a very important role, he was very gracious," said Lieberman, who has since called Obama to thank him. "That obviously sealed the deal and I appreciated it a lot." Liberal bloggers fumed. Vermont Sen. Bernie Sanders, an independent, called it a "slap in the face" for millions of Americans who backed Obama. But Democrats need Lieberman's support in a chamber where it takes 60 of the 100 senators to overcome the threat of a Republican filibuster. They feared punishing Lieberman could drive him to the GOP. Lieberman remains a registered Democrat and caucuses with Senate Democrats. Lieberman was re-elected in 2006 as an independent after losing his state's Democratic primary to wealthy businessman Ned Lamont, an anti-war candidate. Top Democrats like Dodd and Obama who had supported Lieberman in the primary instead backed party nominee Lamont in the fall race. Lieberman was disappointed that some old friends weren't loyal to him. "Joe is gonna do what's in his interest politically because he had a near-death experience," said Tad Devine, a Democratic strategist who advised Lieberman in 2000. "Losing the party nomination has given him enormous freedom to think and to do as he wants."